Planning a trip to Patagonia or the wilds of Chile? Chances are you’ve come across Say Hueque, Argentina’s leading adventure travel company. Founded by Rafa Mayer, it offers everything from guided weekend tours to Iguazu falls to 16 days adventures to the high deserts of Argentina, Chile and Bolivia and even customized stays in Buenos Aires. I met Rafa last year in Ireland of all places, where we were both attending the Adventure Travel World Summit. I recently had a chance to catch up with him to ask him a bit about Say Hueque. Rafa, what is your background and how did Say Hueque begin? I come from a home of travelers, I used to be a backpacker and used to save money to spend it traveling. When I received my degree in Marketing and Advertising, I left Argentina to travel around the world. In that trip — to be more specific, in a bar in Ireland — I decided I wanted to help people to travel to my country. When I came back I settled down and decided to build a travel agency, focus on independent travelers who wanted to avoid tourist traps and wanted to discover the best of our country. What makes Say Hueque different? The best assistance. We are from Argentina and we specialize in Argentina. 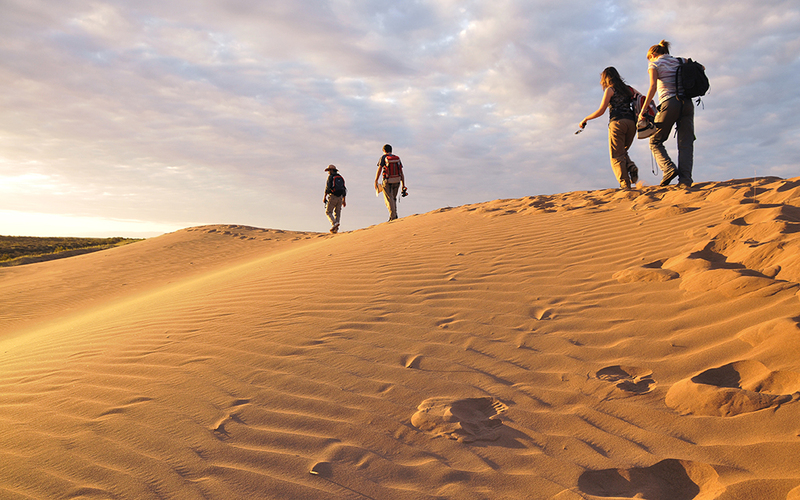 You will receive personal assistance from one of our Travel Specialist who will help you plan a perfect trip. As local operator we also offer the best prices. We are recommended by the most important travel guides and travel sources, including The New York Times, Lonely Planet, Rough Guides, USA Today, and Budget Travel. We are members of the most prestigious associations, including the Adventure Travel Trade Association, ASTA (American Society of Travel Agents), LATA (Latin America Travel Association), BACC (British Argentine Chamber of Commerce) and CAT (Camara Argentina de Turismo). Say Hueque is also committed to making the world a better place. For this reason, Say Solidario was launched two years ago. Say Solidario is focused on giving back to the people, culture and environment of the destinations we visit. On every purchase you make with us, a portion goes to our Project. Hiking in Patagonia with Say Hueque. For someone who’s never been to Argentina or Chile, which of your trips might you suggest? One of our favorites is our Argentina Highlights, a 12 days trip which includes Glacier Perito Moreno, Iguazu Waterfalls, cultural Buenos Aires, and the city of the end of the world, Ushuaia. For those who are more adventurous and want to focus on Patagonia, we would suggest our Best of Patagonia 13 days which allows to spend time in the most beautiful national parks of Argentina and Chile and gives traveler plenty of oportunities to hike. Finally, for nature-lovers we have the Impressive Wildlife & Cultural Heritage, which goes to less explored areas as Bahía Bustamente, a bird paradise, Puerto Madryn, which is home of the biggest Argentina Magallanic penguin colony and southern whales, which visit the area every year. 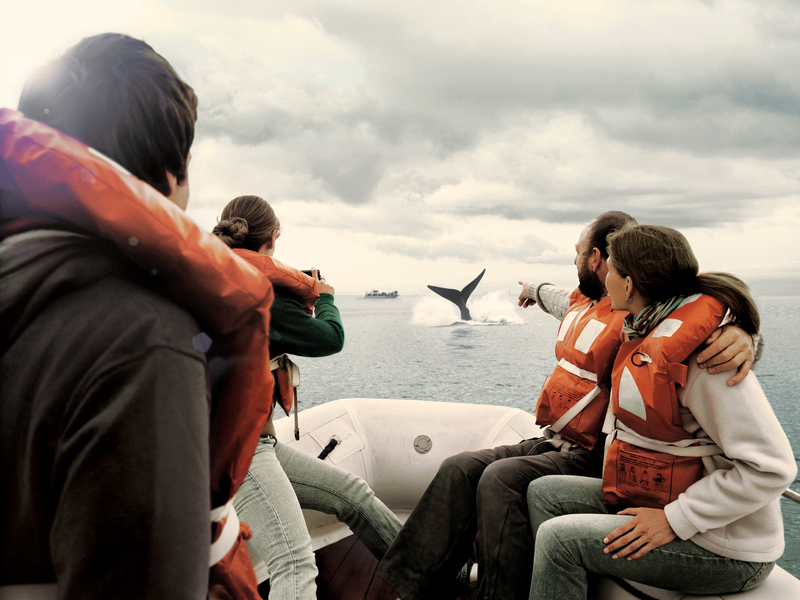 It also includes a stop at Camarones, the most unexplored penguin colony of Patagonia. 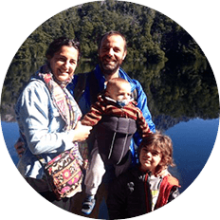 Argentina is itself a perfect destination for families. 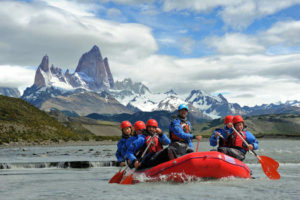 Favorite spots and activities include visit to local working ranches, biking tours in the city, kayaking in the pristine lakes of Patagonia and rafting in the rivers of Mendoza. Since our tours are tailor-made, we work close with every family to make sure we design the perfect trip for them. Each family is different, and it of course varies a lot depending on the age of the children age. Some parents need connecting rooms in hotels, teenagers will prefer longer hikes, and the most curious ones will enjoy swimming with sea lions. Say I’m traveling to Buenos Aires for work and I have a couple of days to spare to take a little adventure. What would you recommend? Iguazu Falls is a must. Daily flights from Buenos Aires to Iguazu will bring you face to face to some of the most impressive waterfalls in the world. Walk along Iguazu’s impressive collection of waterfalls and feel the mist from the stunning Garganta del Diablo. Surrounded by tropical jungle and home to incredible biodiversity, tour Iguazu Falls eco-train and discover why Igauzu Falls is one of the true natural wonders of the world. Let’s say I really want to experience Patagonia. Which of your trips would you recommend and why? Argentine and Chilean Patagonia gives to every true traveler the opportunity to explore Patagonia from both sides, Argentina and Chile. 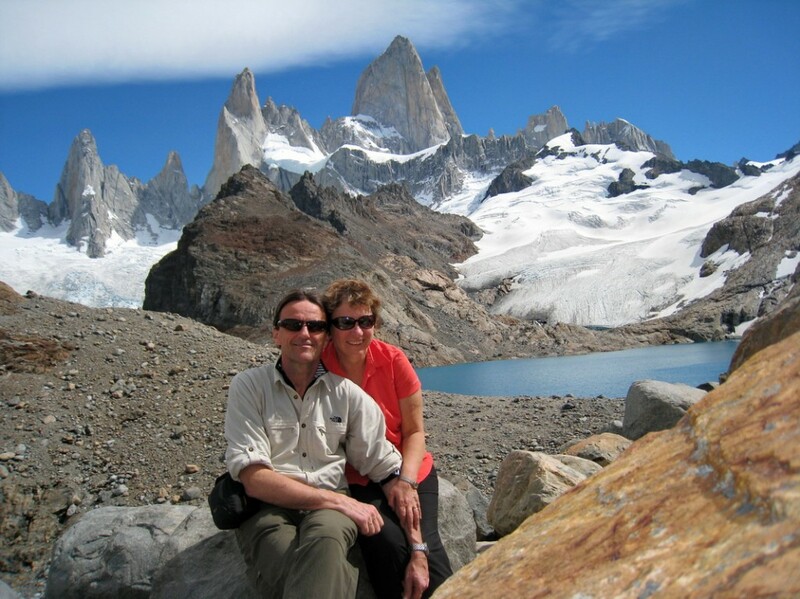 The highlights include trekking in Chalten with great views of Fitz Roy, exploring Torres del Paine National Park, visiting Ushuaia, the lake district on both sides, Argentina and Chile and the glaciers in El Calafate. It is an amazing trip, where you will see the most pristine lakes, the beautiful white glaciers, hike through the green forest, cruise along Beagle Channel, and more. Truly a trip of a lifetime.